The Celtics used their 19th pick to take Texas point guard Avery Bradley. Not sure if this pick will be moved for lower draft picks, but the Celtics can’t depend on the 6-foot-2 Bradley to become an immediate backup to Rajon Rondo. 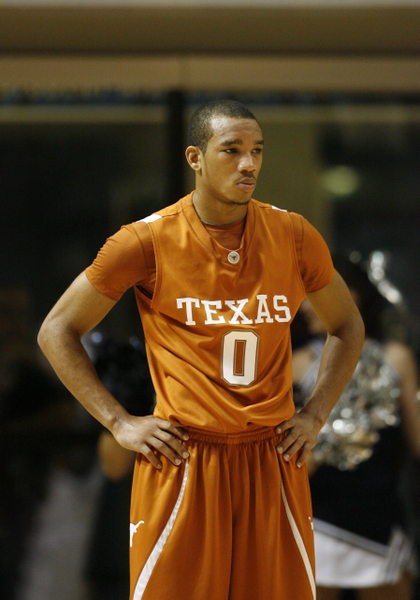 Bradley, a Tacoma, Wash., native, averaged 11.6 points and 2.1 assists in his only year at Texas. Rivers was already familiar with Bradley. His sons Jeremiah, a senior at the University of Indiana, and Austin, a senior at Winter Park (Fla.) High School, had both seen him on the AAU circuit. “They both like him a lot,” Rivers said.